Question of the Week: How do you manage your gaming budget? In our latest episode (106b), we talk about the process of discovering and researching board games, and eventually land on how we decide whether to buy them. It has occurred to me that we left out a major factor, and it’s not because it doesn’t affect our decisions, but it’s because I always assume it to be such an obvious thing that it almost never occurs to me to actually make it explicit. That thing? The cost of the game. And to be clear, I don’t just mean the monetary cost. In that, I also want to include “opportunity cost.” Because while some games can be prohibitively expensive (think “games from kickstarter that massively underestimated their popularity, have to run a second kickstarter just to meet demand, and people who managed to get in on the first kickstarter start marking up the price on eBay 100% or more”), it is also important to count as a part of the cost of a game the other games that you won’t be able to buy because you don’t have that money anymore. I know that seems obvious to some people, and I’m not here to lecture, but I was thinking about this as I read a few different discussions online about whether or not a game was worth the cost and complaints about how someone really wanted a game but couldn’t afford it. So, I figured as the “Question of the Week” day came, I should ask our listeners about this very thing. How do you manage your gaming budget? If you think a game is too expensive, but you really want it, do you save up and not buy a game one month so you can afford it the next, or do you just mentally put it into a pile of “I’m just not going to own these” games? When you are looking at games you want to buy, do you select one from a list, and push the other ones off, or do you figure out a way to budget for all of the games you want? Talking about money and income can be gauche, but the board gaming hobby is strange sometimes… it can be an unbelievably cheap hobby, or it can be a wealthy collector’s nightmare. I’m really interested in where our listeners fall on that spectrum, and how they deviate or maintain once they’ve chosen their spot… or, really, if you guys think there is another, better way of looking at the cost of games. Let us know! Email your answers to thedieispodcast@gmail.com, and we’ll discuss what you say on the show! I don’t know where or when the “survival” sub-genre of video games originated, but some days it seems like they have taken over the entire hobby. Every indie designer with access to Unity and Steam seems to think they have a unique idea for a video game where you start with nothing, gather and build items and tools over time, build up a base, farm resources, fight against hunger, darkness, dangerous creatures, and try to last as long as possible… and these features are even creeping into massive, mainstream triple-A games. Don’t get me wrong, there are some really great survival games, going back to Minecraft or even further. And some of these mechanisms are inherently interesting. Things like inventory management, resource conservation, exploration, and avoiding unexpected dangers are combined into the survival sub-genre, and some of the games have unusual twists that make them worth playing even if you don’t enjoy the survival aspects. Some people would call Crashlands, from Butterscotch Shenanigans, a survival game. It presents itself as such, in a way: you start with very little, and you must gather resources from around the map, build them into tools, farm, fight monsters… you see where I’m going. It’s a top-down interpretation of the genre, in the vein of Minecraft or Terraria, but it’s easier, more accessible, and “mission-driven” in ways that many other survival games are not. I’ve been playing Crashlands on my iPad, and the controls are easy to manage. Everything works as you would expect. While the on-screen display is minimal, it communicates what it needs to clearly, so moving, fighting, and using your items is straightforward. In fact, people used to the more complicated dance of tool-swapping might be a little underwhelmed: almost everything you do in the game is context-based. There is only really one action button. When you are near a tree, you automatically switch to your tree chopper. When you are near an enemy, you switch to your monster chopper. Next to a workbench? The building screen comes up. It streamlines a process that, for some, is an important part of playing well, but for me, has always just been another hassle. The game involves exploring the land around where your spaceship crashed in order to find the necessary components to fix it and get on with a special delivery you were making. Along the way, you meet any number of native creatures of the planet on which you crashed, and they not only give you quests (which are mostly either killing other inhabitants of the planet or gathering components and building something), but they actually have a bit of a personality, and the story, although not compelling, is competent and sometimes humorous. So, if you play Crashlands, you are going to spend a lot of time wandering around the map and gathering, interspersed with some silliness and groan-worthy puns. Does this work as a game? Sort of. There are a lot of things to gather and build, seemingly countless tiers of quality for each type of component, which you then use to make armor, weapons, and equipable or one-use items. You can construct and decorate bases, grow farms, and hatch and raise combat pets, all using components you find from hacking around the map and killing monsters. You start with wood and grass, and soon the cycle repeats with slightly different items using stone, and it repeats again, and again, and again, each time providing you new basic elements to build with, a new crafting table, and a new set of monsters to grind… The progression of the game, both mission-driven and personal goal-driven, began as a fun diversion, but quickly, the repetition set in harder than any other survival game I have played. Let me address the “survival” aspect for a moment: in Crashlands, you are unconcerned about food, or water, or shelter, any of the traditional dangers you might want to avoid. Your items don’t degrade, you never feel “short” on anything you need, and past the initial wonder of starting up the game, you rarely feel endangered by anything. You do have to be aware of the monsters than creep slowly around the map as you explore, and there are some really frustrating moments where a giant, high-level version of a firefly or bat just destroys you… but even when you die, you don’t feel the tension of loss. Death sends you back to your home, and you simply need to wander back to where you died to gather the components you were carrying that you lost. It is less a survival game than it is a low-difficulty adventure game in the clothing of survival. I discovered Crashlands looking for a game that was going to reward long-term commitment, and feature lots of content to discover as I played, but the fact is that breadth is substituted for depth in almost every circumstance, and heavy-handed direction in the form of missions is substituted for a genuine feeling of discovery. Here’s an example: there are tons of different suits of armor you can construct, but they are randomly generated and relatively indistinct in play… I played the same tactics and approaches without regard for the armor I carried and it didn’t seem to affect my success. And you basically have to build all of the stuff that is available, checking the items off like a list, so there aren’t many meaningful decisions there either. Do I do X or do I do Y? Well, your either only have X as a choice, or the game is going to ask you to do both X and Y as part of a quest. Despite the ease and humor of the game, the promise that there would be any sort of challenge is, at best, misdirection. Sure, you can screw up in a fight, dodge wrong and bite it. But outside of that? You grind. Then the numbers get bigger, and you grind again. Everything becomes an indistinct amalgam of surface-level features from other games that are actually challenging, surprising, and fun. But Crashlands, in my experience, never reached that height. Question of the Week: What online resources are the best for you to research games? In the upcoming episode (106b), we discuss how we find and decide to purchase the board games we acquire. It’s enough of an answer. But when the person asking is someone who is genuinely interested in games, I should provide a better answer, because I have one. Should I provide the entire spiel from Episode 106b? Probably not. But I do have a lot of good advice for people who are trying to figure out what games to get. What online resources are the best for you to research games? We list some websites and fora that have been helpful, but I’m looking for more specific answers. Are the monthly geeklists that you subscribe to? Are there certain subfora or individuals you have found who are especially helpful with narrowing down your choices? What video or written review series do you think has helped you in the past? And most importantly… are there really any podcasts that are of use? Send us an email (thedieispodcast@gmail.com) and let us know what online resources you use to research your game purchases. We want to know, and we want to let our other listeners know as well. If you have never seen anything produced by Drew Scanlon, you should go Google some of it now. He’s a creative guy with loads of experience in video production, and he has a passion for games. Why does this matter? Because I’m about to endorse something of his, and I want you to understand why. 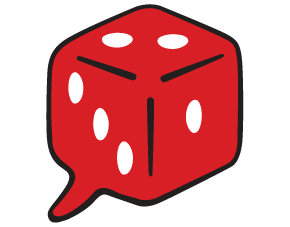 With The Die is Podcast’s new site, I want to post actual reviews of games (something we haven’t done a lot of in the past), but I also want to post about cool things in the world of video games, board games, and RPGs. In my meandering through gaming fora, listening to podcasts, scrolling through Twitter, and research for the show, I sometimes come across game-related things that I think are really cool. It could be news, a kickstarter, an upcoming event, or a non-game creation that just really makes me think more people should know about it. In order to keep the actual podcast focused on the games we play and the discussion topics we have, we have normally either discussed these things in an abbreviated way, or simply set the information aside entirely. But our new and improved site is a lot more flexible! So, back to Drew Scanlon. I first came across him because of the Giant Bombcast, where he was one of several contributors for discussions of video games, both as a hobby and as an industry. He struck me as a very insightful person, with particularly eclectic tastes in video games, and every once in a while, he would bring up board games (such as the Resistance or Twilight Struggle) on the podcast. It turns out that his interest in non-video games runs as deep as it does for video games, and that’s saying a lot for a guy who was involved with a video games as a career for such a long time. How do I know the depth of his interest? Well, he recently left the Giant Bomb crew to take a chance at creating something that combines his skill with video production with his love of all kinds of games. It’s called “Cloth Map,” presumably in reference to the maps that sometimes came with video games in the past. Now, I don’t know Drew Scanlon, but clearly he and I agree on the importance of games to the human experience, and even though I’ve been all over the world and played games with lots of people who don’t come from my cultural background, I’m very interested to see where this project goes. His work in the past has been really great, and I have every expectation that this will be right up my alley, combining the travel and culture of Anthony Bourdain’s food shows, but with a focus on my great interest, games. If you want to find out more, or even potentially be involved, Drew is running a Patreon for the project. You can send some money his way to gain direct access to him and the production of the show as it is created, which seems really cool. It’s really the first Patreon I’ve more than just considered donating to. It’s a great idea, and it’s exactly the kind of thing crowd-funding should be used for: moving from concept to execution for niche interests that otherwise just wouldn’t succeed. Anima Prime, by Christian Griffen, is an action-oriented, tactical RPG intended to recreate Final Fantasy-style stories in a tabletop RPG environment. I first came across Anima Prime because of another game by the same author, Beast Hunters, a game that comes from a similar design space: action-oriented, tactical, and challenging. I thought Beast Hunters was a cool idea, mainly because at that point my experience with RPGs that had meaningful tactical decisions was pretty slim, and most RPGs that leaned in that direction, even a little bit, were slightly abashed about doing so. “Tabletop roleplaying is about drama, acting out your character, doing voices, and getting immersed in the world,” these games would explain, regardless of their mechanical complexity or how well suited they were for fun, “hack and slash” style experiences. But Beast Hunters promised a different approach: absolutely, this game is going to be about your character, but in particular, it’s going to be about challenging your character (and you) with tactically meaningful choices. And then came Anima Prime. A game that embraces providing the players with a variety of tools to approach tactical situations (yes, mostly combat) and making those tactical situations difficult and enjoyable. Although it is by no means unique in its attempts to address tactical challenges to the players as well as the characters, Anima Prime does approach this goal in several unique ways. Traditionally, RPG combat takes the form of a small scale war game. After all, the origins of the hobby are in an adaptation of war game rules to feature your individual character. This means that these games concern themselves with physical positioning, concrete ranges and areas, and spatial relationships and maneuvering. This works well for many games, among them some of my favorites: D&D 4th edition and Savage Worlds. However, many RPGs take this approach unquestioningly; your “tactical” rules must include grids, movement rates, minute rules about space and size… and they just end up feeling all very similar. But Anima Prime’s tactical combat is about resource management and risk taking, building tension through narrative “maneuvers” that generate power for periodic explosive moments. When you take action in the game, you roll your character’s skill specialties (such as acrobatics, engineering, perception, explosives, etc.) to generate an abstract pool of advantage dice, and you can eventually spend these dice to “strike” an enemy, potentially taking them down. And in the mean time, you are incidentally generating a pool of points that you can spend to activate your character’s powers. It’s really a lot of fun, describing how your skills set you up, making small dents in a monster’s defenses until you go in for the kill. There is a constant stream of other choices you (and the other players) must make as well: What actions do you spend your resources on? Do you try to strike early to gain advantage, or do you wait until later when you might be more powerful, but the attack comes too late? Which bonuses do you target with your actions? Figuring out your maneuvers, linking any of your several powers with the other players’, determining an approach that will bypass your opponents’ mechanical weaknesses, building up to powerful attacks… it’s all very engaging. The most important thing in these action scenes is the fact that you must split your efforts between engaging with the opponents and achieving the “goals” of the scene. Although you can focus entirely on taking down minions and bosses, those enemies typically have goals of their own that aren’t simply to kill you, and you sometimes need to commit the resources you generate with your skills to stop those goals or achieve your own. Here’s a concrete example: the evil cultists are trying to sacrifice a captive, and your team is trying to stop them and save him. Surely, if you kill all of the cultists and their dark master, you will succeed! But in the mean time, the bad guys just need to spend enough of their gathered dice to make the sacrifice. So, you can set a goal to free the captive, committing your gathered dice to the goal in order to ensure that, regardless of your success in the battle, you can make sure no evil gods are summoned today. But doing so takes away from your direct combat efforts. This parallel series actions, dealing with the fighting but also dealing with the reasons for the fighting, creates a compelling narrative that is often missing in bog-standard grid combat you find in many games. Plus, some of the available goals have mechanical impact, like breaking through impenetrable defenses (e.g. finding a weak point in the dragon’s scales), inflicting a specific sort of elemental damage (e.g. blowing up a gasoline tanker), or providing a boost to another player’s skills or powers. Although Anima Prime purports to be a game for supporting Final Fantasy-style stories, a real strength of the game (and perhaps Final Fantasy-style stories?) is the flexibility of settings and character types it allows for. We have used the game for traditional comic book superheroes, grotesque demon-powered monster hunters, and even standard RPG fantasy with elves, dragons, and sorcerers. The skills and powers characters are built from are easily (and sometimes necessarily) re-skinned for whatever setting you need, and the tools provided to the GM for creating opposition are flexible and, with little effort, can be adapted and added to in order to represent all kinds of opposition, from overwhelming hordes of zombies to building-sized creatures without any discernible weakness. Even “combat” can be easily re-skinned to many kinds of challenges (physical, social or mental) due to the system of “goals” discussed above. At this point, you may notice that I haven’t talked much about the Anima Prime system outside of the tactical combat parts. That’s because, frankly, there isn’t much of a system outside of the tactical combat part. There is a minor mechanic that functions sort of like Aspects in Fate RPGs, where playing your character in a particular way in non-action scenes can provide a buff… for the action scenes. But it’s all essentially freeform roleplaying, and then everyone claps each other on the back, we check a couple of boxes on the character sheets indicating some re-rolls we can use, and we get back to the actual action. Now a big question: Does it actually support Final Fantasy style? I don’t really think so. I really love the way all of the mechanisms focus in on the action scenes, but Final Fantasy is about a lot of stuff that isn’t combat, and the combat here doesn’t really work like any Final Fantasy game I know of. In some sort of a nod to that source material, there is a setting that comes with the game, but it is really, really minimized, and it has never held any interest for me. It is barely detailed, and I have a hard time picking out why I should care about it as opposed to any number of other great settings that this game could be adapted to. Fortunately, the “Final Fantasy” pitch is really just a hook to grab you for this fairly genre-free system, so the lack of any Japanese CRPG touches isn’t a big deal. I would be remiss if I didn’t touch on a mechanical weakness of the game before the end of this review. Namely, the system of wounds and defense for the game is mathematically a little wonky. When you deal damage, you divide your successful dice by the target’s defense and the result is the number of wounds dealt. The problem is that Defense ranges from 1 to 4 (maybe 5 for unbelievably tough enemies), which means the same attack could be up to four times as effective against different targets… and when those targets are PCs, an attack that could barely harm the toughest of them will more than likely devastate the weakest. This results in a mad dash for high defense, and kind of makes the rest of the system look bad as a result. As long as everyone’s defense is fairly close, it’s not a big deal, but it’s something to look out for. I scale the cost of increasing a character’s defense so that a player who wants to be an absolute tank can be, but it will eat up most of their defining traits. Anima Prime is a great RPG. But it is one of those RPGs that targets a niche, and it may not be a niche you are looking for. In fact, I’ve talked to people who are genuinely confused that it focuses almost entirely on tactical action, but the action is almost entirely abstract. In a hobby that is so used to particular approaches that 90% of games look like they are simply dice-rolling variants, Anima Prime is a welcome change. And in a hobby where so many games seem afraid to embrace the fun of tactical combat, it’s nice to play a game where you can unabashedly beat stuff up. Hey guys, Brandon here at The Die is Podcast. I have just updated our website, so we now have a blog. It’s not much, but it is ours and we love it. I know Chris will be avidly posting away soon and I will do my best to find some time to give some little tidbits from my little corner of the galaxy as well. We appreciate all of our listeners and hope that you continue to enjoy our podcast.